Months after the 2014 World Cup in Brazil, the stadiums built for the tournament had already started to decay. It wasn’t just venues in the country’s furthest reaches that were crumbling. Even the $500-million Maracana Stadium in Rio de Janeiro seemed to be coming apart at the seams. Now with Russia’s World Cup finally over, the fate of the country’s massive infrastructure investments is in the spotlight. How will cities that don’t have major football clubs be able to fill the massive stadiums, and how will regional governments operating on shoestring budgets cope with the enormous maintenance costs? Russia spent an estimated $3.4 billion on constructing nine new stadiums from scratch and renovating three others, in addition to building 96 training grounds, which will reportedly be passed on to youth teams after the tournament, according to FIFA. In Samara, a city with a population of more than 1.1 million, officials are scratching their heads over how they’ll afford the upkeep of their new stadium. During the tournament, the 42,000-seater arena hosted heavyweight teams including England, Uruguay, Brazil and Russia. But the teams scheduled to play there next might not have the same drawing effect. The city’s local club, Krilya Sovetov, which has luckily just been promoted to Russia’s top league, is only scheduled to host around 18-20 games per year. The ticket sales from those matches, local officials say, are insufficient to pay for the costs of maintenance. That same scenario could play out across the rest of the host cities. Of the 12 stadiums that hosted games in the World Cup, only six will be used by football clubs playing in Russia’s top flight of football next season. The rest, in cities like Nizhny Novgorod, Volgograd and Sochi, host small, underfunded and under-supported football clubs in Russia’s second-tier division, which had an average match attendance of 2,500 last year — hardly enough to fill gargantuan new stadiums with over 10 times that number of seats. The government is aware of the problem, at least on paper. According to a World Cup legacy report commissioned by President Vladimir Putin last October and published in April, it will cost 16.65 billion rubles ($269 million) to maintain the tournament’s infrastructure, including stadiums and training grounds, until 2023. According to the report’s estimates, the maintenance of each stadium will require an average 342 million rubles ($5.5 million) per year. For smaller host cities like Saransk, which had a yearly expenditure of 7.5 billion rubles ($130 million) in 2017, the costs may be too much to bear. A proposal in the report stipulates that around three-quarters of the government’s legacy program, or 12.35 billion rubles ($199 million), could come from federal coffers, with the rest covered by regions, municipalities and the private sector. 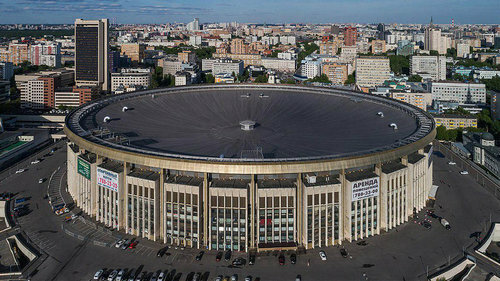 Moscow’s Olympiisky Stadium, built for the 1980 Summer Olympics, is now a mall. However, under the plan, the federal government would only help subsidize the upkeep of seven stadiums: those in Volgograd, Yekaterinburg, Kaliningrad, Nizhny Novgorod, Rostov-on-Don, Samara and Saransk. 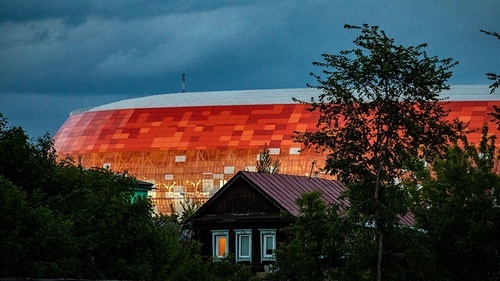 Five other World Cup stadiums — in Kazan, St. Petersburg, Sochi and two in Moscow, which were jointly financed by regional, municipal or private funding — will have to survive without subsidies. Alexander Alayev, the general secretary of Russia’s football union, said the organizers of the 2018 World Cup took the problems of past sporting events to heart. “We’ve thoroughly studied the examples of the previous World Cups in Brazil and South Africa, so we’ve developed a joint program with FIFA for the legacy of the World Cup,” he was cited as saying by Brazil’s O Globo news website. Many consider even that prognosis to be overly optimistic. While newly built stadiums in Europe and North America see returns on their investments 10-15 years after opening, the expected period in Russia will be more than 50 years, Forbes cited Kirill Tikhonov, a sports consultant at PwC, as saying in June. While the financial burden on the federal government will be high, the Kremlin has made clear that it is ready to spend billions of rubles to ensure the World Cup infrastructure does not go to waste. Putin reiterated the message during his “Direct Line” call-in show broadcast live national television on June 7, when he issued a decree for a new government program for the “effective implementation” of the legacy framework by Aug. 15. “I’d like to address my colleagues in the regions: Under no circumstances should the structures turn into things like markets, which sprung up in Moscow’s sports venues in the mid-90s. This turn of events is categorically not an option,” he said.